Although vaccines save numerous lives, nobody likes to receive a shot. Therefore, researchers are attempting to create oral vaccines for infectious diseases. However for it to be effective, the vaccine must endure digestion and reach immune cells inside the intestinal wall. Now, scientists reporting in the ACS journal Nano Letters have created oral vaccines driven by micromotors that target the mucus layer of the intestine. 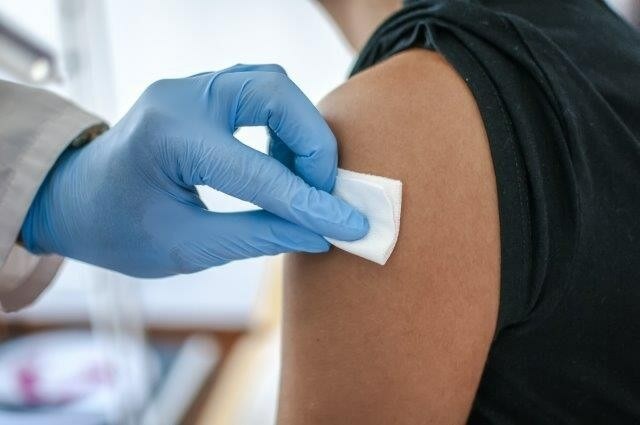 Besides avoiding needles, oral vaccines can produce a wider immune response by activating immune cells within the mucus layer of the intestine to create a special group of antibody known as immunoglobulin A (IgA). Joseph Wang, Liangfang Zhang and colleagues speculated if they could employ magnesium particles as minute motors to transmit an oral vaccine against the bacterial pathogen Staphylococcus aureus. When coated over a major portion of their surfaces with titanium dioxide, magnesium microparticles use water as fuel to make hydrogen bubbles that fuel their propulsion. To produce the oral vaccine, the scientists coated magnesium micromotors with red blood cell membranes that exhibited the Staphylococcal α-toxin, together with a layer of chitosan to help them adhere to the intestinal mucus. Then, they incorporated an enteric coating that protects drugs from the acidic environment of the stomach. When administered orally to mice, the micromotors safely traveled via the stomach, and then the enteric coating dissolved, triggering the motors. Imaging of mice that had been administered the vaccine revealed that the micromotors collected in the intestinal wall a lot better than non-motorized particles. Compared to the static particles, the micromotors also triggered the production of nearly ten times more IgA antibodies against the Staphylococcal α-toxin. The researchers received funding from the Defense Threat Reduction Agency Joint Science and Technology Office for Chemical and Biological Defense, the National Council of Science and Technology in Mexico, the Charles Lee Powell Foundation, and the National Cancer Institute.